Facebook's announced News Feed update will likely have a significant impact on publishers and brands across the globe. In a post on the platform itself, Facebook founder Mark Zuckerberg announced that they would now be prioritising posts from family and friends in the News Feed, reducing the visibility of publishers and brands to their social audiences. What does Facebook's News Feed update mean for financial brands? The update is likely to hit brands that have grown significant Facebook audiences the hardest; predictions suggest that sites that see a significant proportion of traffic coming from the social media giant could suffer a 50%+ drop in traffic. Be prepared for Facebook advertising costs to increase as demand for limited News Feed real estate soars. Zuckerberg openly admitted in his post that he expects this change to mean that people will actually spend less time on Facebook, but that the time they do spend will be more engaged. ‘Passively’ reading articles or watching videos is being discouraged in favour of focusing on comments and shares. Stats now coming in already suggest that last quarter, time on site for the brand has dropped by over 50 million hours per day, some 5% of total time. So, what can finance brands do to combat the traffic drop? Predictions suggest that sites that see a significant proportion of traffic coming from the social media giant could suffer a 50%+ drop in traffic. There is an option within the News Feed settings to choose which posts you would prefer to ‘See First’. This means that no matter what changes occur to the News Feed, that person will always see your content first. 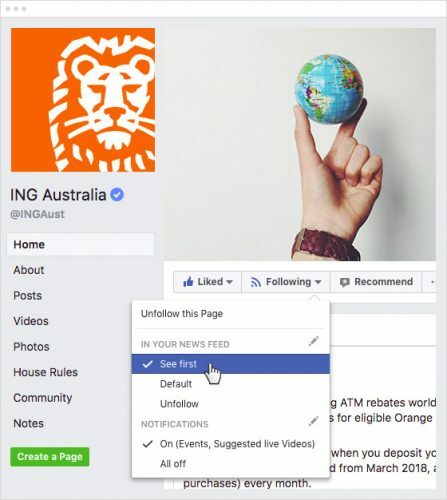 This can be done either through the News Feed settings or directly on your brand’s page by clicking the drop-down under ‘Following’. This will not be easy to encourage, and Facebook does not provide stats on how many people have chosen the ‘See First’ option, but if you have a loyal, engaged audience then providing an honest demonstration of how to apply the ‘See First’ option is a guaranteed way to ensure your audience will still see your content. As organic traffic from the News Feed falls, dependency on paid Facebook advertising will inevitably increase. CPCs for both post boosting and Facebook ads will also inevitably increase, so be prepared early. Re-assess the split of your advertising budget and consider how important Facebook is to you as a source of traffic and whether additional advertising budget is a worthwhile investment. With the loss of News Feed traffic, Facebook Groups are likely to play an increasingly important role in a brand’s social strategy. Moving away from a traditionally broadcasting approach, Groups will force brands to play a more two-way community focused role in talking to their audience. However growing groups is hard, there are no paid advertising opportunities to help promote within Facebook – it takes time and effort to build your community around a genuinely shared topic of interest and promote via other channels e.g. promoting in comments section or posts, EDMs etc. You can choose whether to create an open or private group depending on the type of subject matter and audience you are targeting. A great example of a growing, active group by a brand is the group for managers for Quartz at work; with over 3,000 members and multiple daily posts. 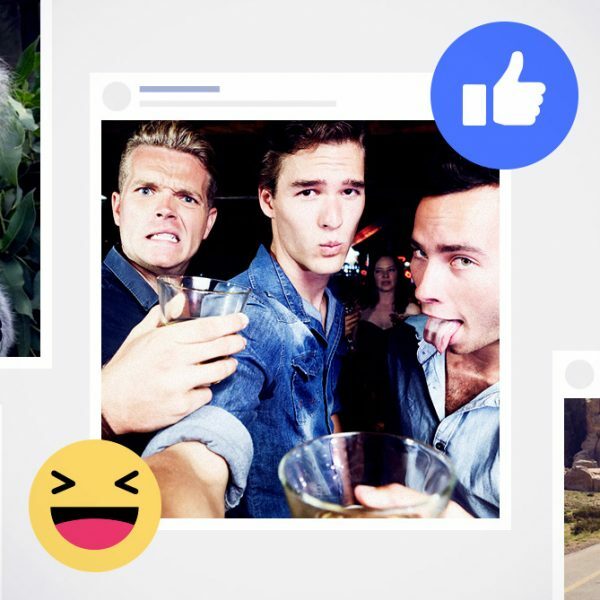 Facebook have also featured it as a case study for Groups. If organic Facebook traffic has become a key dependency for your brand; now is the time to review other potential strategies. Spend some time in your analytics package and hunt out those undervalued sources – is there particularly high conversion from a small but potentially great unsung source? Are you getting much referral traffic? Are there partners that you could work with on a closer, more formal basis? Consider metrics like time on site, pages per visit and the conversion rate for forms and/or downloads. Even if the numbers are currently small, big wins can be found in unexpected places.